Many Republicans voting in today’s presidential preference election are turning in their mail-in ballots at the polls or casting provisional ballots. 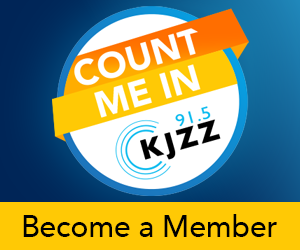 From Phoenix, KJZZ’s Paul Atkinson reports. 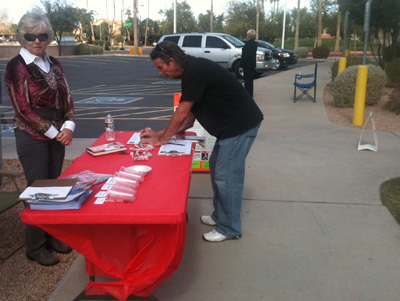 Sharon Aimes gathers signatures for a congressional candidate outside a polling place at the Islands Community Center in Gilbert. To attract voters, she asks them to take part in a bean pole, where they place a bean in one of four cups with a candidates’ name on it. A steady stream of voters head in to cast their ballots. At one point, about 10-percent of ballots cast at this polling place were from people dropping off early voting ballots. Jonathan Ricks voted in person because he hadn’t made up his mind until now. Other Republicans, like Christina Park, had no doubt which candidate they support. 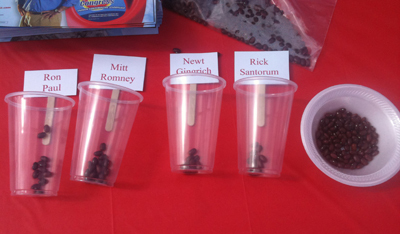 When it comes to who will win the primary, Sharon Aimes’ bean poll may not be of much help. The candidate cups got knocked over by the wind. “So we’re not sure we have an accurate count," laughs Aimes. Polls close at 7 tonight with election results released an hour later.